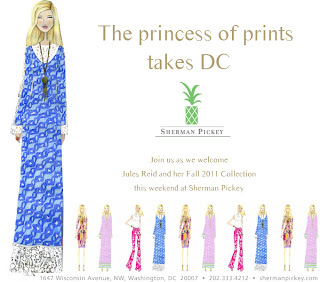 Meet Jules Reid in person at Sherman Pickey on Saturday, October 22, 2011 from 11 a.m. to 6 p.m. She's showcasing her fantastic prints from the Fall 2011 Collection. I love the rich tones from the collection and the fabrics that she uses. 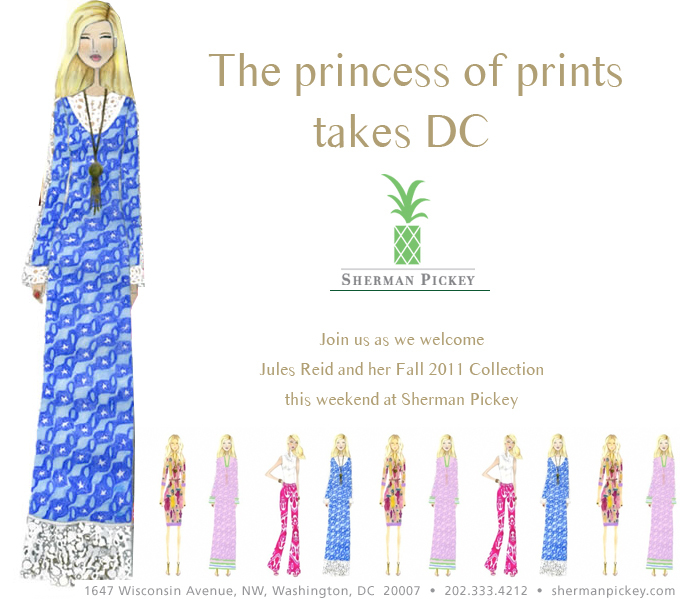 My favorite piece in any season from Jules Reid is the Virginia tunic. Isn't it divine?